Mary Frances Johnson passed away on Saturday, February 9, 2019, at her home with her family by her side. Her family will be forever grateful for the unconditional love and the life lessons taught to each of them during the 71 years of Mary Frances Johnson’s life. However, that came to an end on February 9, but will never be forgotten. The special love shared with Herman Ray Johnson span 32 plus years. With her true love, she enjoyed family and God’s wonderful world (usually in a bathing suit) boating, fishing, traveling, or gardening. But the pride of her life was her grandchildren, who she spoiled with her famous milkshakes. She was preceded in love by her mother, Nola Kate (Darnell) Price, her father Felmer Price, and her beloved sister Barbara Sue Thomas. In her final days she talked of dancing with the angels and our hearts rejoiced. The love she had of sharing God’s word and love shown in her roles of Sunday school, VBS teacher, and organizer of Christmas and Easter programs. She left her love with Herman Ray Johnson, and children Suzanne (Keith) Akins, Stephen (Tonya) Ingram, Stacy (Jesse) Dalton, children of the heart, Darren (Rhonda) Johnson, Dione (Clint) Butler, grandchildren Noah Dukes, Marshal Dukes, Zachary (Olivia) Akins, Alex (Stephanie) Akins, and Cheyenne Johnson, siblings Ruth Harris, Gene (Phyllis) Price, Alvin Price, Billy Joe (Charlotte) Price, Dennis (Lena) Price, several nieces, nephews, greats, and great greats. 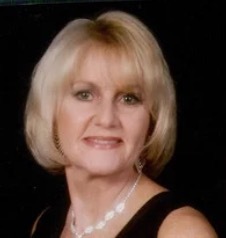 A Remembrance of life service will be held for Mary on Wednesday, Feb. 13, at 2 p.m. at Jim Rush Funeral and Cremation Services North Ocoee St. Chapel with Glen McAlister and Reverend Gerald Fowler officiating. The committal service will follow at Sunset Memorial Gardens with Zack and Alex Akins, Noah and Marshall Dukes, Ovy Thompson, Cheyenne Johnson and Darren Johnson serving as casket bearers. The family will receive friends on Tuesday, Feb. 12, from 5-8 p.m. at the funeral home. The family requests that in lieu of flowers, donations be made in Mary’s memory to Hospice of Chattanooga, 4411 Oakwood Drive, Chattanooga, Tn. 37416.